Now that it's February (almost March!!) and I've long since given up on my new year's resolutions, I'll be the first to admit that I'm still broke (save money? what an absurd resolution) and I'm still obsessively checking my mailbox (so much for nixing online shopping). Thankfully there are ways to still get goodies in the mail while keeping the dent in your wallet to a minimum, and 3B Box is one of those ways. 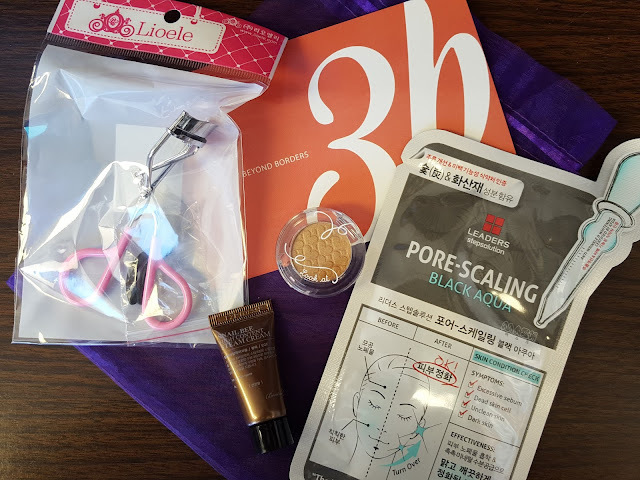 Buying skincare overseas can cost a pretty penny and the folks at 3B know that, so each month they send you a box full of Asian beauty products for one low price. 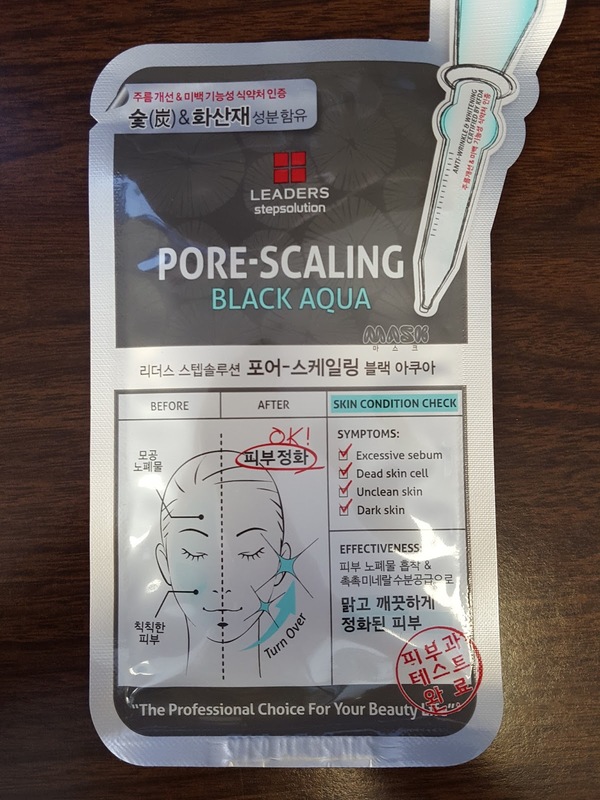 FYI: I actually received this box a couple of weeks ago but I've been so busy that I still haven't tried anything in here so this will be more of an unboxing than a review. Benton Snail Bee High Content Steam Cream (5g value: $2) - When you think of 'steam cream' it makes sense to picture something that warms up when you apply it to open up your pores. But no. It simply refers to the manufacturing process - steam is introduced to the product to help the mixing of oil- and water-based ingredients. Or something like that. This cream contains snail secretion filtrate which you probably know is great for achieving soft supple skin. It also has bee venom (more specifically melittin) which tricks your body into thinking its been stung so that it produces elastin and collagen, both which are great for younger-looking skin. I've been using the essence from the Snail Bee line for a while and love it because it's the only snail mucin-containing thing that doesn't leave my face feeling sticky. Same goes for this cream - no stickiness AND it's unscented. Double yay! 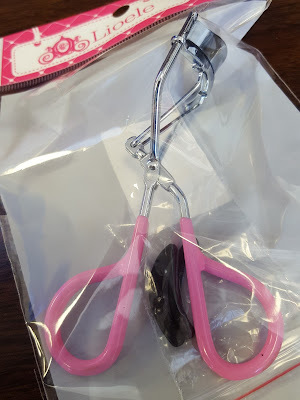 Lioele Eyelash Curler (Value: $3.50) - This curler is cute because it's pink (when the heck did I start liking pink??!) and comes with two replacement pads. You should be changing the pad every six months so these should last you about a year and a half. There was a time when I thought all curlers were created equal and was becoming increasingly frustrated that every one I tried pinched the corners of my eyelids and left me with zero curl. Then I did some research and found out that the reason why they weren't working was because the the curve was too pronounced so the pads weren't even grabbing my lashes while the ends were grabbing my skin. In other words I have flat eyes (as is the case with many monolids); I needed something with a flatter arch. After some searching I found the Shiseido one to be my HG curler. Actually, even that one is a little too curvy for my eyes but it's one of the flattest ones out there and works the best for my eye shape. 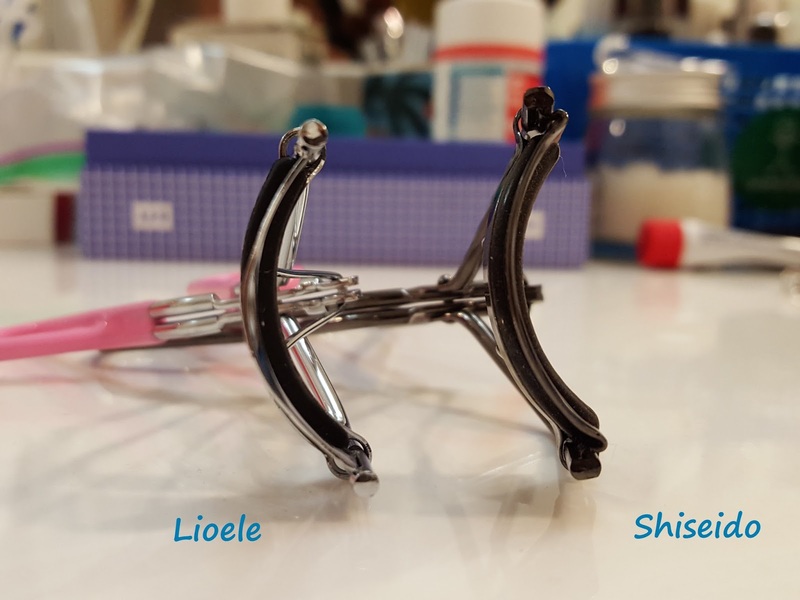 This Lioele one has a bit more of an arch but isn't too bad either, and it's perfect for smaller eyes. I think I may give this a go! Side by side of Lioele and Shiseido lash curlers. This was another fun month of 3B! There's always something I like, and sometimes (like this month) I'm pretty thrilled with the majority of the items. 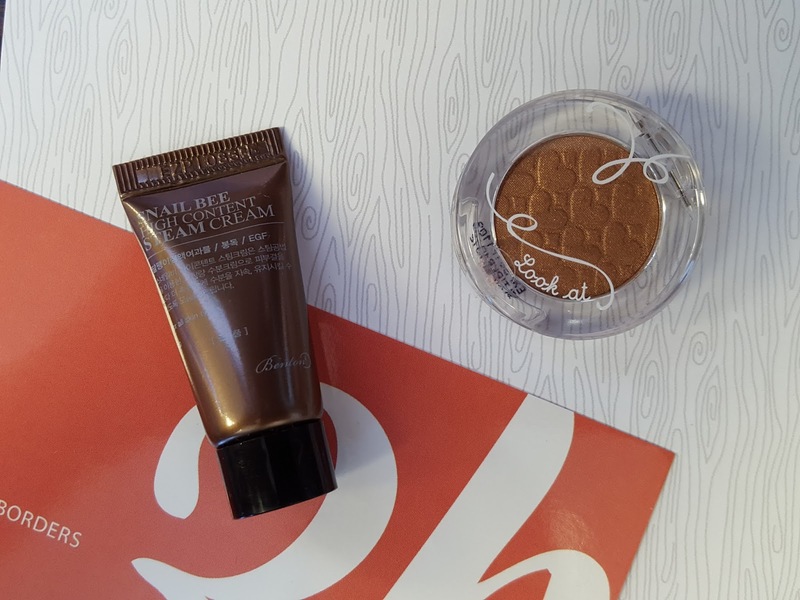 I love that the Snail Bee cream doesn't leave my face greasy or sticky, and I think I'll be purchasing a full size soon. Next up is probably the charcoal mask - I fell off of the mask wagon for a bit but I think it's time to jump back on; my stash is growing so quickly! I think there's still a wait list for this box and the sooner you get on, the sooner you can get off of it!